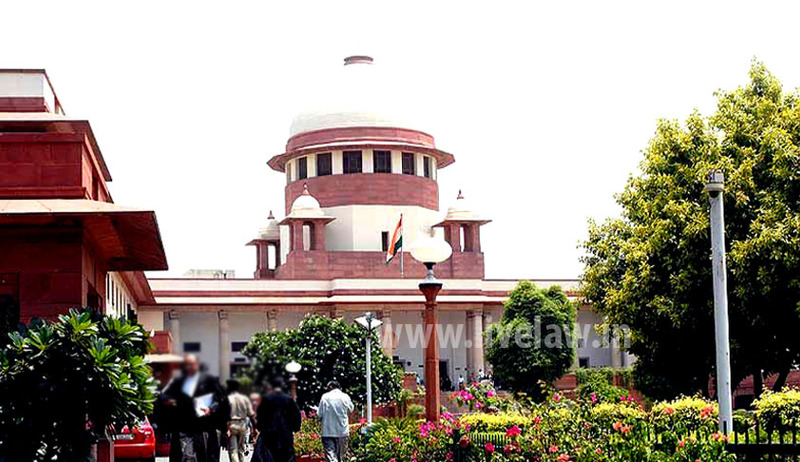 The Supreme Court has set aside the judgment (State of Rajasthan vs. Jainudeen Shekh and Anr.) passed by the trial court (which was affirmed by the Rajasthan High Court) granting compensation under Section 250 of the Cr.P.C., of an amount of Rs.1,50,000/- to each of the respondents who had been arraigned as accused for the offences punishable under Sections 8/21(B) and 8/29 of the Narcotic Drugs and Psychotropic Substances Act, 1985 on the ground that there was delay in obtaining the report from the Forensic Science Laboratory and further that the test showed that the seized items did not contain any contraband article and, therefore, they had suffered illegal custody. The facts of the case were as follows: On 02.11.2011, PWs 4 to 6 police officers while carrying on patrolling duty, noticed the two accused persons together and seeing the police vehicle, accused Jainuddin speedily moved towards the kachcha passage near Mangal Pandey circle and on a query being made, he could not give any satisfactory reply. The accused was searched in presence of other persons and during the search a polythene bag allegedly containing intoxicant material was found in the back pocket pant of the accused-respondent no.1 but he had no licence for it. The polythene bag weighed 31 gram 170 milligrams. The police prepared two samples of alleged smack weighing 5 grams each and the remaining was kept in the polythene bag and 2 sealed. Thereafter the accused-respondent no. 1 was arrested at the spot and seizure memo was prepared. At that time the other accused Shabbir was also taken into custody. Thereafter, an FIR was registered and after investigation, charge sheet was filed under Section 8/21(B) of the NDPS Act against the accused-respondent no.1 and under Section 8/29 of the NDPS Act against the accused Shabbir. The accused persons denied the charges and stated in their statement under Section 313 CrPC that they had been falsely implicated. The prosecution in order to establish the charges, examined six witnesses. The sample was sent for examination to the Forensic Science Laboratory on 8.11.2011, chemical analysis thereof was done on 9.9.2013 and the report was submitted to the court on 28.9.2013 and it was exhibited as Exhibit P-11. The said document revealed that the sample contained “caffeine” and “paracetamol” and it did not contain Diacetylmorphine (heroine) or alkaloid of “Afeem” (Opium). As the report indicated that the said items were not covered under the category of intoxicant under NDPS Act, the trial court came to the conclusion that the charges were not established in any manner. The learned trial Judge, acquitting the accused, referred to Section 250 of the Code of Criminal Procedure, 1973 (for short, ‘the Code’) and opined that a Court of Session can award compensation to the accused in a case of malicious prosecution and accordingly directed payment of Rs.1,50,000/- each to both the accused persons. The judgment of the trial Judge was affirmed by the High Court. The Supreme Court held on facts that the police while patrolling had noticed the accused persons and their behaviour at that time was suspicious. The Court also noted that there was nothing on record to suggest that there was any lapse on the part of the seizing officer, and that nothing had been brought by way of evidence to show that the prosecution had falsely implicated them. It also observed that there was nothing to remotely suggest that there was any malice. The Supreme Court distinguished the facts of the case at hand with the factual matrix obtained in Hardeep Singh v. State of Madhya Pradesh. In that case, the appellant was engaged in running a coaching centre where students were given tuition to prepare them for entrance tests for different professional courses. The appellant was arrested and a case under Section 420 read with Section 34 IPC and other sections was instituted. He was brought to the police station in handcuffs and his photographs in handcuffs appeared in the local newspapers. The trial went on for several years and eventually, he was acquitted after 12 years. After the acquittal, the appellant had filed a writ petition contending, inter alia, that he was taken to the police station and was kept there in custody in the night handcuffed by the police without there being any valid reason and his photographs in handcuffs in daily newspapers were published as a consequence of which his elder sister who loved him like a son, died due to shock. It was also contended that the prosecution knew from the beginning that the cases registered against him were false and it purposefully caused delay in conclusion of the trial causing great harm to his dignity and reputation and violating his fundamental right to speedy trial guaranteed under Article 21 of the Constitution. The Single Judge of the High Court had admitted the writ petition on the limited question of grant of compensation to the appellant for the delay in conclusion of the criminal case against him. Another Single Judge who finally heard the matter opined that there was no case for compensation. In intra-court appeal, the Division Bench reversed the same and granted compensation of Rs.70,000/- which was enhanced by the Apex Court to Rs.2 lakhs. The Supreme Court then said that the High Court had not applied its mind to the concept of grant of compensation to the accused persons in a case of present nature. “There is no material whatsoever to show that the prosecution has deliberately roped in the accused persons. There is no malafide or malice like the fact situation which are projected in the case of Hardeep Singh (supra). Thus, the view expressed by the learned trial Judge is absolutely indefensible and the affirmance thereof by the High Court is wholly unsustainable,’ said the Supreme Court. The Court accordingly went on to allow the appeal and set aside the order of the trial Judge granting compensation and that of the High Court affirming the same.